As a feedback tool, you'll definitely want to invite other users to your BugHerd project(s). But Members, Guests, Managers, what's it all mean?! Members are your core team (think Devs, Designers, PMs, QAs, etc). Guests are your clients & stakeholders. Owner/Managers/Billing Users are the Admins of your BugHerd account. Think of Members as your core team, usually comprising of your Devs, PMs, QAs, etc. You can invite Members on a project-by-project basis or to your BugHerd Organisation via the "Team" screen (available to you if you're a Manager/Owner of the account). So what can Members do in your BugHerd Project? Manage BugHerd Billing & Account settings. Guests are the best way for you to invite your clients & stakeholders to give feedback on your Project. The Guest role allows your clients to create tasks & engage with your Project Team Members while still limiting their access. You can only invite Guests on a project-by-project basis. So what can Guests do in your BugHerd Project? Add comments and attachments to tasks. Mark their tasks as closed or re-open them. Access your project Kanban board. See tasks created by other Members/Guests. In addition to Members & Guests, there are a few other "Administrative" roles in BugHerd. The Owner is the person who originally signed up to BugHerd. They have full access to all projects, user management & settings. A Manager has the same access as a Member with a few additions. A Billing User also has the same access as a Member, but can also access Billing & Subscription settings. 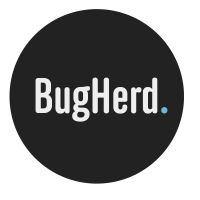 We hope that gives you all the info you need to get started managing Users in BugHerd. Of course, if you have any questions or need some help, get in-touch with us on support@bugherd.com.